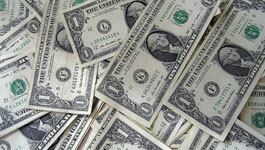 Our regular clients enjoy savings on their services automatically. As an introductory offer, new clients may mention this coupon for $10 off their first chimney cleaning! Carbon Monoxide (CO) is a colorless and odorless gas that is extremely dangerous to have in your home. 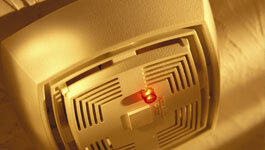 The symptoms of CO poisoning are similar to having the flue. Thinking About a New Stove? 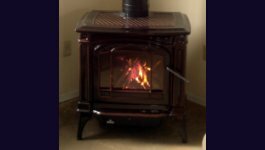 We carry several lines of stove manufacturers including Napoleon, Osburn, Monessen, Lennox, and many others. Masonry - Bricks, Block, Stucco, and more! At Swift Services, we work with brick, stone, stucco, concrete, cinder block, and pavers. 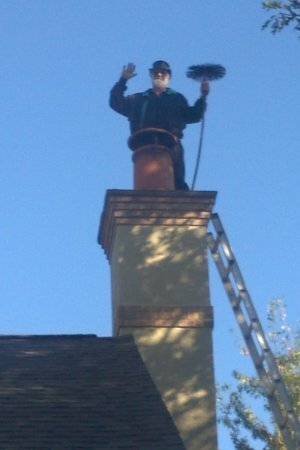 Our expert masons are experts at chimney restoration. We do stucco resurfacing and restoration, repairing craked or broken sections. We do paving for sidewalks, driveways, and patios using a wide variety of materials. Clients may choose stone, brick, concrete, asphalt or modular products like E.P Henry and Techoblock. We also do other hardscaping such as retaining walls, planter boxes, and terraces. All chimneys are exposed to extreme weather conditions. This causes the top of the chimney, often called the crown, to crack and split open which allows water to infiltrate the masonry below. That water causes rotted and broken mortar joints and can lead to splitting and spalling. Chimney restoration begins with a properly built crown. The masons at Swift Services always do it the right way, that is we do it by the book. We use bond breaks, expansion gasket, and most importantly concrete. The concrete results in a crown that will last two to three times longer than the standard mortar wash installed by builders. Pointing is filling the joints between bricks (or other masonry units) with mortar. When the mortar has erroded or rotted from harsh weather or acids from the flues, it must be repaired to prevent deeper damage. Unless otherwise requested, other contractors merely do a cosmetic repair. At Swift, you never have to ask, we always do tuck pointing. The first step is to grind or chip old, degraded mortar out of the joint using a diamond blade. Next, the joints are cleaned of dust, debris, and sand. Finally new mortar is "tucked" into the joint and finished to match the surrounding areas. Mortar color is selected to be similar to the mortar used in neighboring areas.